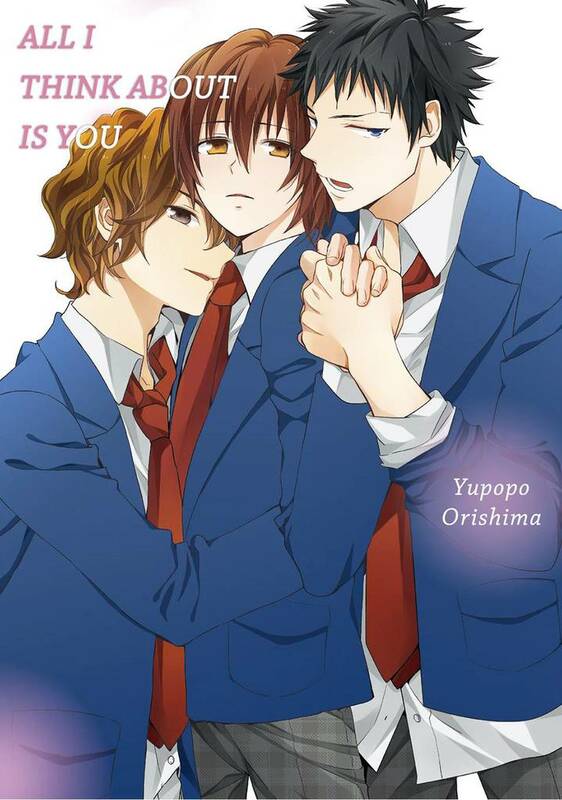 All I Think About Is You(Yupopo Orishima) Review｜MANGA.CLUB｜Read Free Official Manga Online! This Manga is very well written. The plot is a so interesting. I thought souma was going to like Kana but instead the plot twisted in another way . Souma likes Yuuji . Which it shocked me . But the plot is way different then usal love trainagle . It had me out of my seat gasping. The emotion in this is Fantastic . This was... ok. It could've been so much better. Shy Kana is in love with the out-going Souma, but when Souma gets a girlfriend it's their mutual friend Yuu that comforts him and confesses to Kana. Souma sees them kiss and get jealous. This turns into a unsatisfactory love triangle until one of them just bows out. This was just a bit too melodramatic for me. I would've liked it more if it ended with them being in a poly relationship. I can't wait for more chapters. I absolutely love poly relationship stories. I like it i guess......REVERSE HAREM!